After working for tech companies in two different countries, I came to realize that the most striking difference in office culture is the lunch break. I started my career in Washington, D.C., where I ate the majority of my lunches at my desk. Then I moved to Tel Aviv where my office had a large lunch room, and every day, when our food was delivered, my team would stop working on our separate tasks and go eat together—no exceptions. My next office location was Austin, Texas. On my first attempt to eat with my colleagues, I was met with confused faces, lit by the blue light of their screens, which would continue to illuminate them for the rest of the day. No one wanted to take time away from their desk, not even to eat lunch. Going back to eating at my desk was a culture shock I didn’t expect. I had come to enjoy and even depend on having a dedicated time for relief and socialization. Back in the U.S., I would have to figure out some other way to give my brain the break it needed. But if we’re all eating lunch, and we all need a break, why isn’t this the preferred way? Half of American workers do not take a proper lunch break, and a third eat their lunch at their desk. 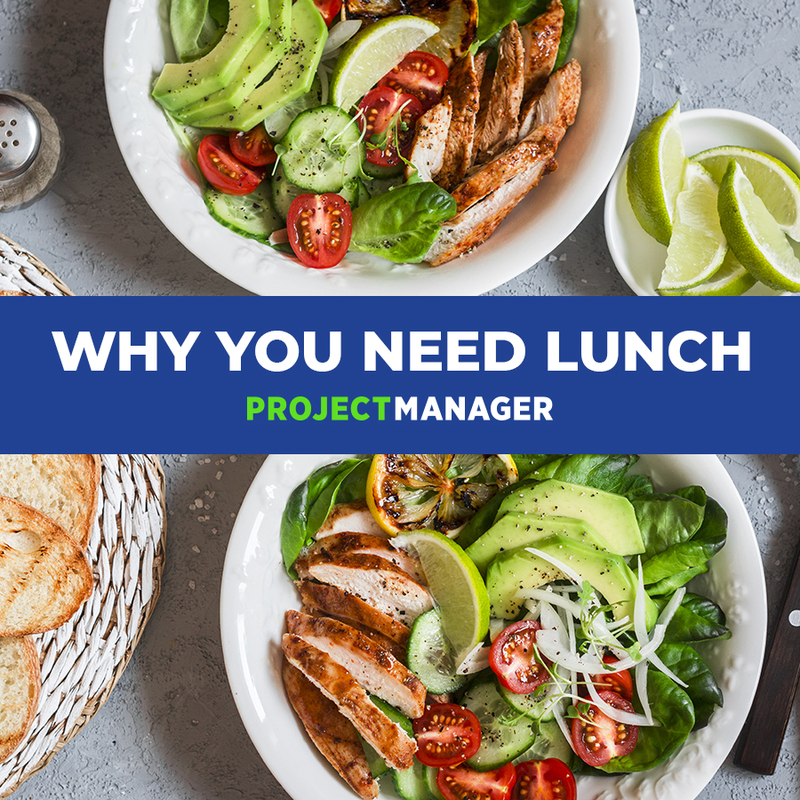 The reasons vary, but most of them can be attributed to either feeling or having the perception that lunch breaks are not productive. The premise of Dr. Gazzaley and Dr. Rosen’s book, The Distracted Mind: Ancient Brains in a High-Tech World, is that our brains are not built for media multitasking. This means that taking a break while still at your computer, or not taking a break at all, will not give your brain the rest it needs to perform its best all day long. They advise taking breaks away from screens. So, remember, it’s not good enough to just eat lunch. You need a break away from your computer and smartphone too. Here are ten screen-free ways to spend your lunch break that are worth it. Looking back at all of my office jobs, the people who I would eat with were the ones I became close to, trusted and collaborated with. Sometimes those were people on my team, and sometimes they were people in totally unrelated departments, yet all three remained true. After a long morning of giving it your all, taking a nap can restore depleted creativity and improve cognition. Chances are, you’re not getting enough sleep anyway, so use your lunch break to rest. A Harvard study found that performance deteriorates throughout the day, but a mid-day nap seemed to prevent it. This means that sleeping during your lunch break has the potential to make you more productive for the rest of the day while your coworkers drag behind. Sleeping on the job isn’t lazy: it’s productive! We sit a lot: in the car, at the desk, back in the car and finally on the couch. For a while, sitting was so demonized it was considered (by some) to be as bad as smoking. Today, most agree that sitting is not as bad as smoking, but a generally sedentary lifestyle is the culprit for many health problems. The problem is that a lot of us are most productive at the times we are most sedentary, like when we sit and focus in front of a computer for long, uninterrupted periods of time. If we don’t also have an active lifestyle outside our work, our lunch break is a great place to add a little activity into the day. Use your lunch break to stand up, take a walk, stretch, or if you want even more productivity benefits, use your lunch break to run, go to the gym or take a fitness class. Ongoing research has provided consistent evidence that productivity is directly linked to physical health. Even further, getting a bit of physical activity during work hours improves mental cognition at well. If you’re sitting at your desk all day, you may not be getting enough sunshine or fresh air. Stepping outside to feel the sun on your face and take a breath of fresh air is proven to give you greater energy, reduce stress and depression, and even improve sleep. Your lunch break is a great time to go outside for a few minutes. You only need thirty minutes of sunshine to get your daily supply of vitamin D.
Plants are known to improve productivity. If you have a garden, park, or even a patch of grass nearby, count yourself lucky and go enjoy it. Take a stroll to wherever there are trees, shrubberies, or at least some grass. In addition to going outside to find plant life, you can also bring it in. Psychologists have found that indoor plants can increase productivity by 15%! One way you can spend your lunch break is to catch up with old friends. If they’re local, try meeting them for lunch. And if they’re far, give them a call. Friendships are linked to all kinds of benefits, including mental and physical health. People with strong social support groups and old friends are happier, suffer less from depression, and go on to achieve more success. But when you are working long hours, taking care of a family, or just generally busy with life, it can be hard to maintain important friendships. You need a break from work to increase your productivity, and you need to have friendships for myriad reasons. It makes sense to combine the two. Social media may tell you what people are up to, but it’s not a substitute for finding out how the person is really doing. Take a few minutes before or after your meal to sit in silence, breathe and “watch” your thoughts. Meditation can help you feel calm and serene, reduce distractions and increase focus. For these reasons, researchers have been interested in meditation and what it can do for the workforce. Some studies show that meditation can increase productivity, explained in part because meditators cope with stress and are better at ignoring distractions. Other studies, however, show that because meditation helps you accept things the way they are, it can cause people to be less motivated compared to their non-meditating counterparts. Knowing this, you can add meditation into your days when you need to be focused and skip it on the days when you need more motivation. Not sure where to start? I like using a guided meditation app, so check the app store for one that fits your vibe. In addition, there are plenty of free meditation guides on YouTube. Taking a lunch break is about stepping away from your computer, but that doesn’t mean you have to avoid any and all kinds of work. For example, if you happen to take your lunch break with coworkers, you’ll often find yourself talking about work anyway. No big deal. If you would feel better doing some sort of work during your lunch break, do it offline and look at the big picture. Think about what you can accomplish during the day and what needs to be done. Get out of the details and let the most important tasks reveal themselves to you. After a lunch break away from your computer and with a list of priorities, you should have a new sense of focus to glide on for the rest of the day. There are two things that are never ending: errands and the number of podcasts I have queued. Lunch is a great time to do both. Take a break from work to do something that improves your personal life. Mail the package, pick up the dry cleaning, return the thing. Whatever you can check off your to-do list during your lunch break, will ease the pressure you have to get it done later. Plus, you’ll have more mental bandwidth to focus on work when you return. If this feels like you’re just adding chores to your day, combine your errands with a good podcast, audiobook, or your favorite music. And finally, eat something. Better yet, eat brain foods. Foods like blueberries, avocados, whole grains, salmon and even dark chocolate make the list of brain boosting foods. If you eat greasy or sugary foods, and especially if you eat a lot of them, you might find yourself sluggish when you return to work or suffer from a sugar crash later in the afternoon. Before you skip lunch, remember that your brain uses 20% of your energy. You need to eat to refuel your brainpower. And, no, coffee is not sufficient. Make sure you work a meal into each workday, but as for the rest of these tips, you don’t need to take all ten at once. Pick one or a few and try it today. Do something different tomorrow. Or start a routine that maximizes your productivity. The important part is to step away from your computer and give yourself a real break. Hungry? Get something to eat! Take your needed time off in the middle of the day and then get back to work with gusto. It’ll also help to have ProjectManager.com, a cloud-based project management software. It has the features you need to get your tasks done, so you can enjoy that lunch hour. See for yourself by taking this free 30-day trial.